With the holiday season right around the corner, stress is sure to follow. Be it financial, familial, or physical stress, the body has a huge job to manage the stress response. 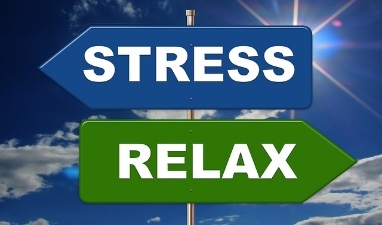 Some stress is okay and even good for the body, but prolonged stress is a different story. Prolonged stress may lead to adrenal fatigue, poor sleep patterns, excess cortisol, inflammation, headaches, irritable bowel syndrome…. to name a few. 1) Exercise. Your initial response during the holiday season may be to skip the gym because you think you don’t have time. I encourage you to stick to your workout schedule. You will not only feel better physically, but also mentally. 2) Essential Oils. Rubbing 3 drops of Frankincense or Grounding Blend on your neck, shoulders or chest may help to ease stress through your sense of smell. These oils have been used for centuries and offer many benefits. 3) Take control of your finances. With holiday travel, gifts, parties, etc. it is very easy to stress our wallets. Keep things simple. Remember the holidays are not about finding the perfect gift at the store. Some of the best gifts are handmade and come from the heart. Maybe you can frame a special picture or create a salt scrub. With so many homemade ideas online you are sure to find something that will be thoughtful and cost effective. 4) Diet. What you eat affects how you feel and affects your gut health. If you plan to attend multiple parties, you will be tempted with foods you may not ordinarily eat. Before going, eat a healthy snack like veggies dipped in hummus, an apple with almond butter, or even a protein shake. Eating something healthy before the party will help you eat less by reaching satiety sooner. Remember overeating is a physical stressor on the body and will only lead to glucose highs and ultimately fat storage. 5) Schedule down time for yourself. Take a warm bath with lavender salts, schedule a massage, or go for a walk. Whatever you choose, set aside “me” time to collect your thoughts and meditate so you can handle your next task. 6) Have an attitude of gratitude. When stress and/or depression take root, the general impulse is to concentrate on the bumps in the road. This “woe is me” attitude will only keep you stressed and depressed. Instead, have an attitude of gratitude. Keep a gratitude journal and jot down things, people, or situations for which you are grateful. Gratitude raises the spirit. It can be as simple as “I am grateful for breathing” or “I am grateful for spending time with my family.” Focusing on the positive will fill you with appreciation and acceptance. 7) Manage your expectations. Be present in the moment and appreciate the moment for what it is. If things don’t go exactly how you want them to that is okay. 8) Perform a digital detox!!! The holidays are a fantastic time to disconnect from all electronic devices and spend time with family and friends. There is a physiologic response to all of those beeps and pings from your devices. Take a mini vacation and unplug. Does your back go out more than you do? Changes in the weather and other aggressive environmental factors can weaken your immune system. So can stress, unhealthy diets, and lack of rest and exercise. It's the perfect time of year to start helping bolster your immune system with healthier lifestyle choices and by replenishing nutrients essential to healthy immune function. Schedule a visit to learn more about staying well and feeling your best during cold monthsand all year long!